A non-returnable deposit off £100 will be payable on booking and the balance payable no less than 4 weeks before the start of your holiday. A cheque for £50 is also required with your deposit, this is to cover any breakages or damage. This will be returned to you at the end of your stay if all ok. 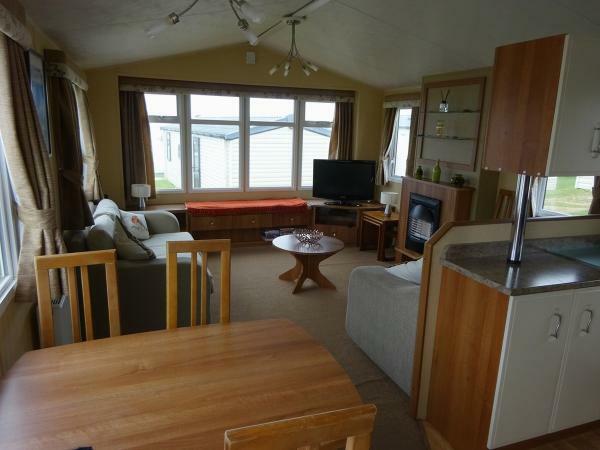 Privately Owned 3 Bedroom Caravan on 5* Haven Littlesea Holiday Park. The van is in excellent condition and is cleaned/checked after renting by ourselves. 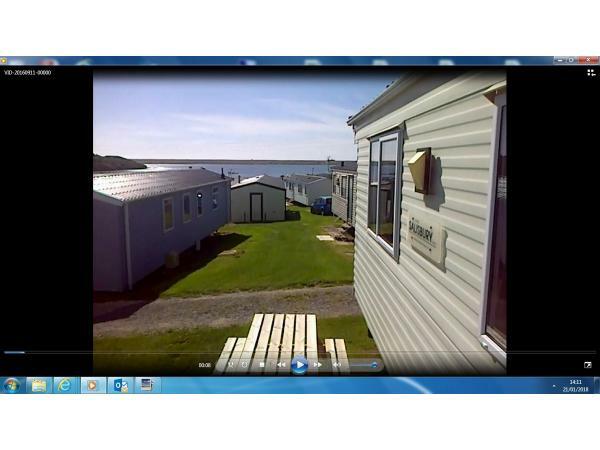 We rent during the Easter and Summer holiday periods (and occasionally outside these to people we know), to help cover the cost of the site license fees (which are very expensive) for a maximum of 6, 2 adults and up to 4 children (please ask if you have different requirements). The rest of the year it is used by the extended family. 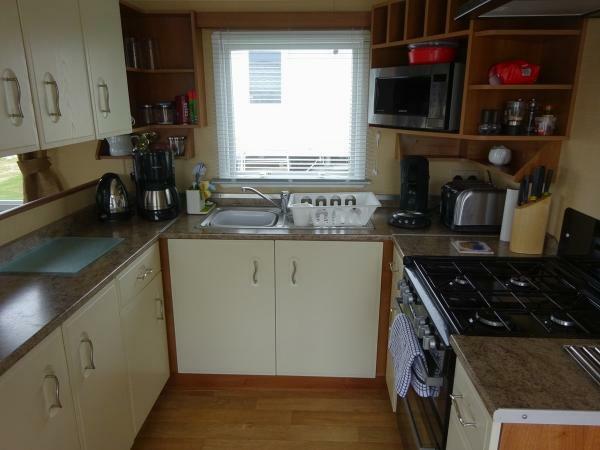 A fully equipped kitchen with full size cooker, coffee machine, large microwave, 4 slice toaster, sandwich maker, new large fridge/freezer and every extra you could possibly need. 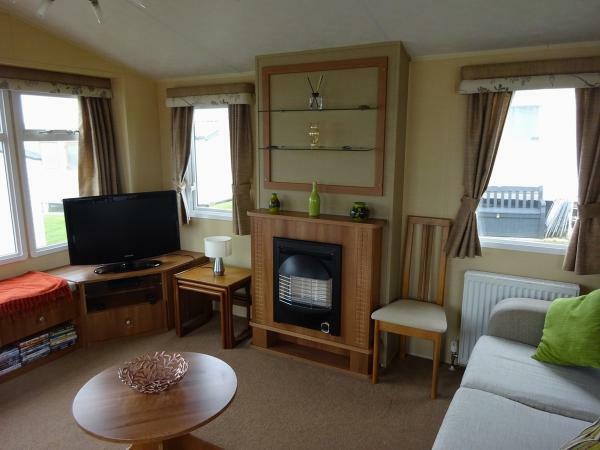 The caravan is double-glazed and has gas-central heating throughout plus a gas-fire in the lounge. The lounge is large with plenty of seating and a new Samsung 42" curved screen TV with freeview plus a DVD player with a good supply of DVD’s. 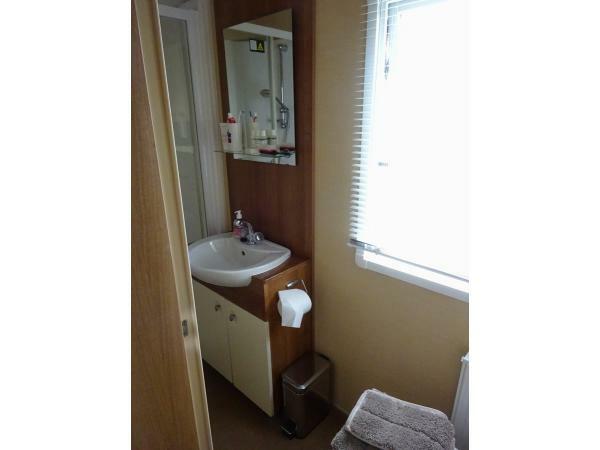 3 bedrooms, one double and two large twin rooms, all have plenty of storage space. 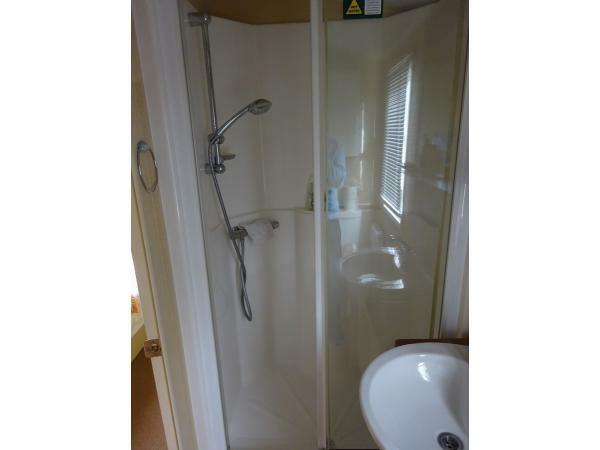 There is a Jack and Jill Bathroom from the main double bedroom containing a large shower, toilet and wash basin. 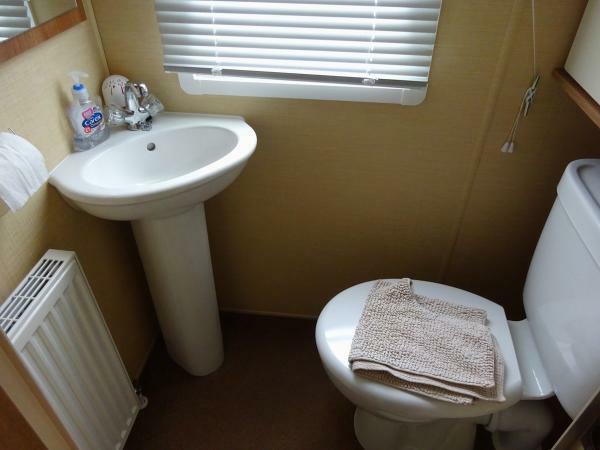 There is also an extra separate toilet and wash basin. Duvets and pillows included but towels, sheets, duvet covers and pillowcases will need to be brought with you. No smoking inside the caravan. A non-returnable deposit off £100 will be payable on booking and the balance payable no less than 4 weeks before the start of your holiday. A cheque for £50 is also required with the balance payment, this is to cover any breakages or damage. This will be returned to you after your stay if all ok. Passes for entrance to the main entertainment complex can be brought from reception on arrival or as required during your stay. There is a cyclic bus service that runs frequently from the complex into the centre/beaches of Weymouth, an excellent facility as parking in Weymouth is tight. 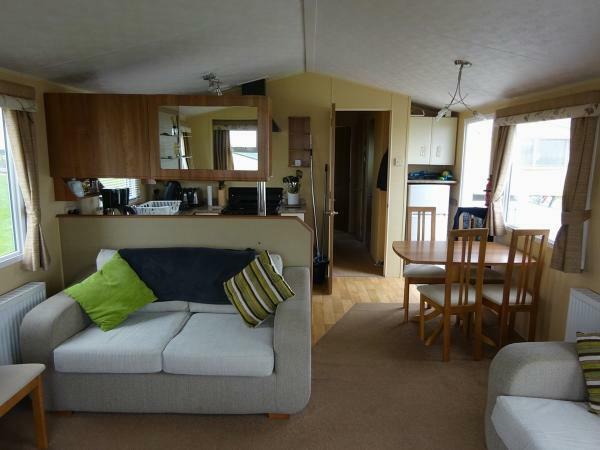 We were very impressed with this caravan. 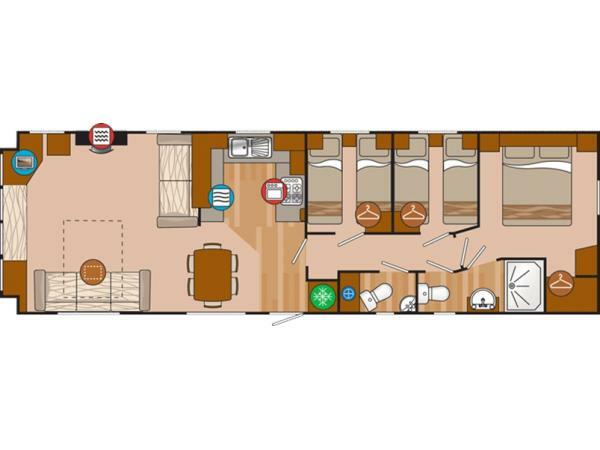 There is plenty of room and is parked very close to the camp amenities. 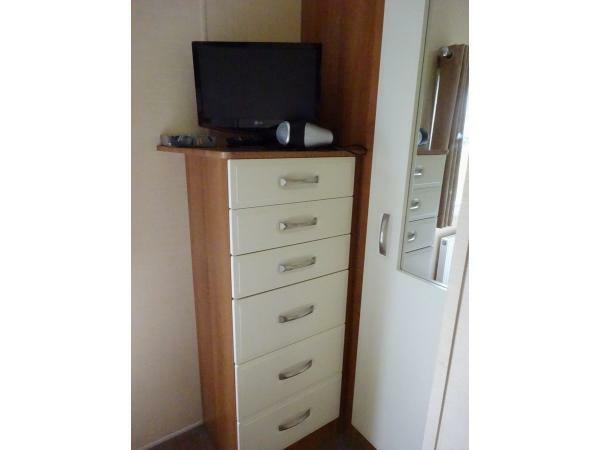 The caravan had everything needed for a comfortable stay and was spotlessly clean. Refreshments were even provided for our arrival. These were very welcome after our long journey to get to Weymouth. The owner was a pleasure to deal with and had gone to a lot of trouble to ensure a comfortable stay. Even the weather could not dampen the holiday. We had a great week staying in a fantastic caravan. It was clean and had everything you could want. The site is great with everything you need to keep young kids entertained (ours are 8, 4 and 1), the van is close enough to take advantage of the complex. The owner is a really nice guy who keeps in touch from the moment you enquire and goes out of his way to make sure your holiday is the best he can make it. The kids cannot wait to go again ! We had a great week. 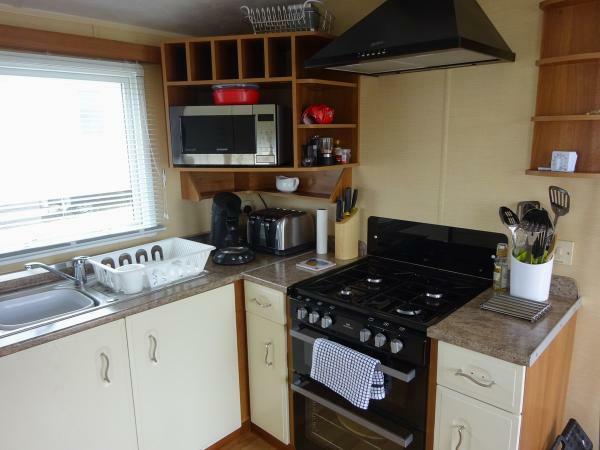 The caravan was lovely and had everything we needed for our stay. Plenty of room. The extra little touches were well appreciated. Very clean. It was situated in a good place as not far to walk to the entertainment complex. Every aspect of the booking, paying, staying was very good. Just like a home from home. What a fantastic holiday we had with our 3 grandsons. We wanted to make memories with them and we couldn't have had any better. 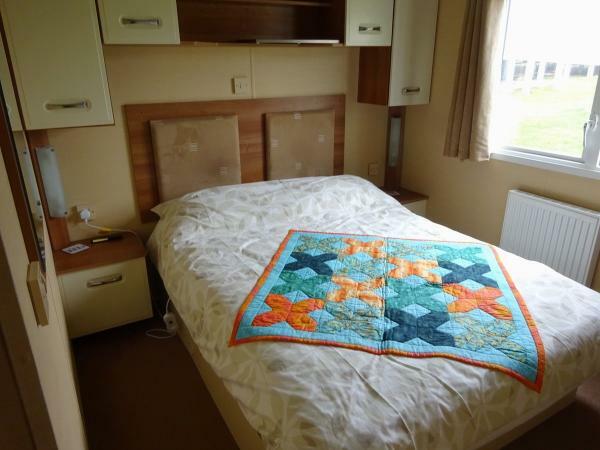 The caravan was spotless and not only was it very comfortable and spacious, there was everything anyone could ever need over and beyond the basics. It was ideally situated within close range of not only the onsite facilities but also the local walks and parks etc. We will certainly be looking forward to going back again in the near future.